My Siena Chianti Town & Country tour is perfect for those who wish to mix the beauty of the Tuscan countryside with a little history…and maybe shopping. The morning will have us in Chianti; a fine example of how it’s possible to cultivate land in complete harmony with nature. Wherever you cast your eyes, vineyards, olive orchards and Cyprus trees are blended into the surrounding woodland with the aesthetic taste for which Tuscany is famous. 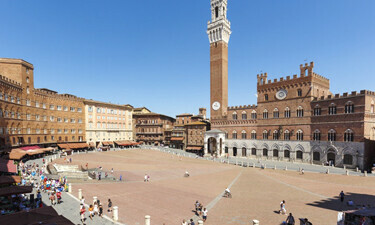 The afternoon will have us in Siena; the second most beautiful town in Tuscany, with its red brick buildings, stupendous cathedral and world famous Piazza del Campo square. 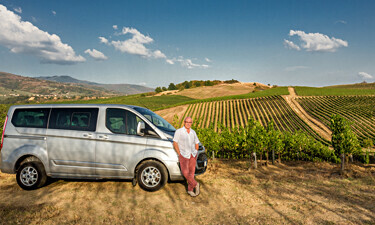 We depart for our Siena Chianti tour at 09:15am. I’ll pick you up from your apartment or hotels and we arrive in Tuscany after about forty five minutes. I’ll make stops in the most picturesque areas and give you all the time you need for photos and admiring the scenery. I know the best beauty spots, so you’ll have get some great opportunities. 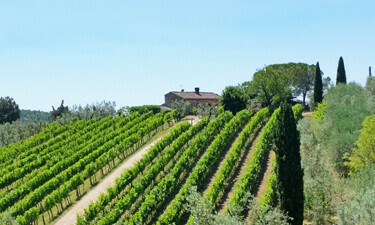 Around mid morning we arrive at our at our boutique family located on the hills of Castellina in Chianti. Their wines are produced exclusively from the vineyards of the estate, vinified in a modern cellar in stainless steel tanks at controlled temperatures. 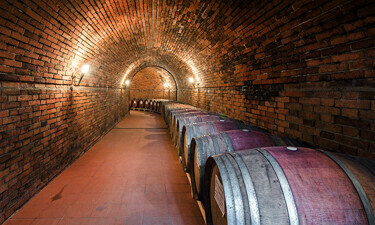 Ageing is done in underground cellars in French oak barrels. We have a guided tour and sit down tasting lasting just over an hour. Lunch (not included in the fee) is at your leisure and I will suggest excellent and inexpensive restaurants on the day. After lunch we continue on our drive towards Siena passing through more great scenery. 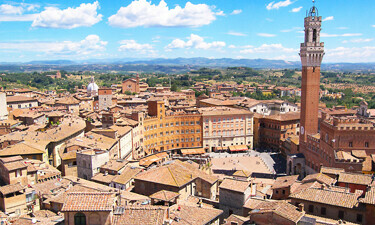 Siena is exceptional not only for its enchanting gothic atmosphere, but because it’s a living city, were the town’s folk of today go about their daily activities. This gives the visitor an insight into a contemporary Italian town, but with a change of clothing, you could easily believe to be living in the 16th century. There’s plenty to see in Siena but I suggest that you don’t miss a leisurely walk in the main street and a stop in the Piazza del Campo which is truly unique. 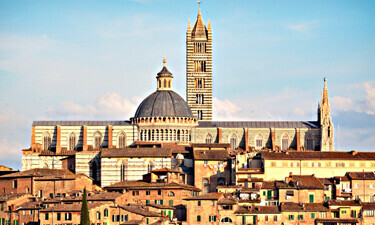 The cathedral is one of the most beautiful in Italy, and again well worth visiting. Then browse around at your leisure, every turn you take will lead you to something of interest. If you’re interested in fine Italian clothing, Siena’s shops offer quality goods at more competitive prices compared to Florence. We complete our tour in Tuscany and return to our accomodation.